I'm taking advantage of the lull in my schedule to revisit my South America photos. I still have a ton to share and it's tricky doing it in a way that doesn't overwhelm. 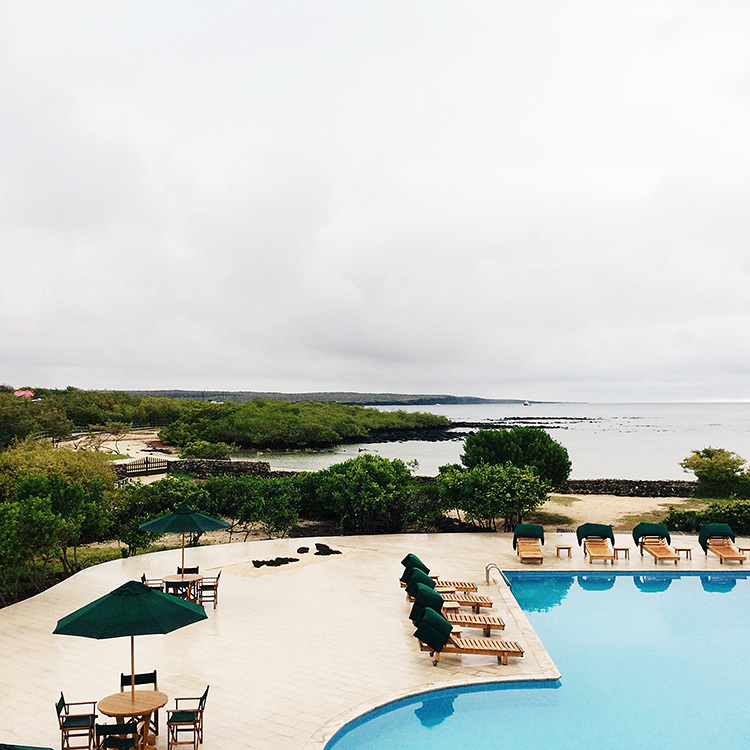 In the Galápagos Islands, we stayed at the Finch Bay Eco Hotel on the south side of Santa Cruz Island. 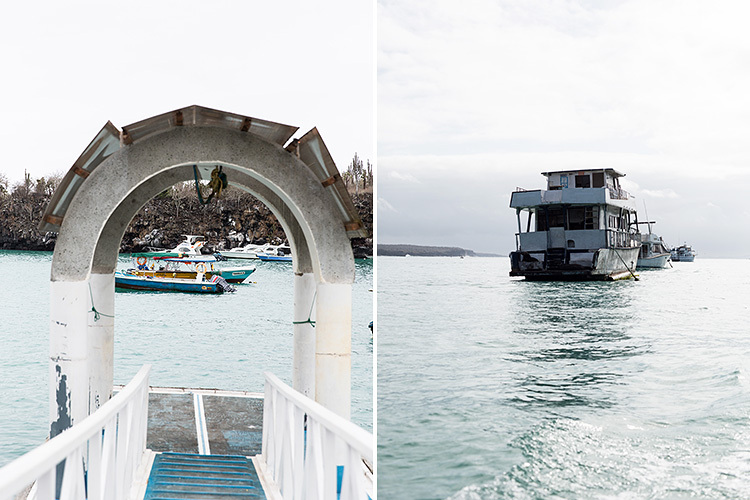 Arriving in the Galápagos is quite an experience in itself. We flew from Quito, via Guayaquil. Try to get a window seat for sure. The islands are also very strict about what you can take in - make sure you dispose of any fruit before getting to the airport. 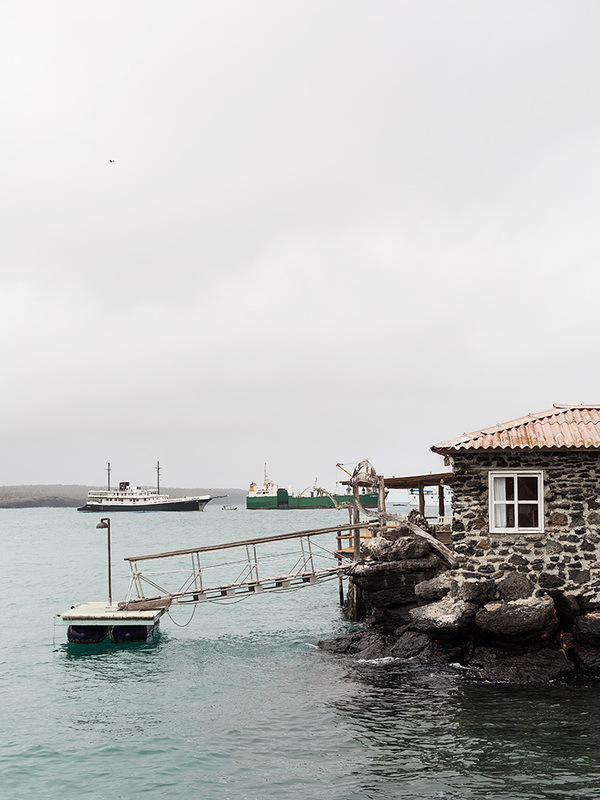 After arriving at the Galápagos airport, we took a car ride through Baltra Island to the Itabaca Canal, where we then took a ferry to Santa Cruz Island. We hung around the highlands of the island where we had our first encounters with giant tortoises and walked through a lava tunnel. Another car ride took us to Puerto Ayora (the main shopping town in the Southern shore), where we took yet another panga (water taxi) to our hotel. From the drop off point, it was maybe another 5-7 minutes to walk to the hotel. For someone who is used to being able to get everywhere easily by foot, this was pretty crazy. These first few photos show the water channel that we took to and from the hotel. I became quite fond of our panga driver. He was an older man with the best smile and would "park" so precisely at each drop off point so we could get off with ease. He'd be there bright and early in the morning and he'd still be there late at night to take us back to the hotel. 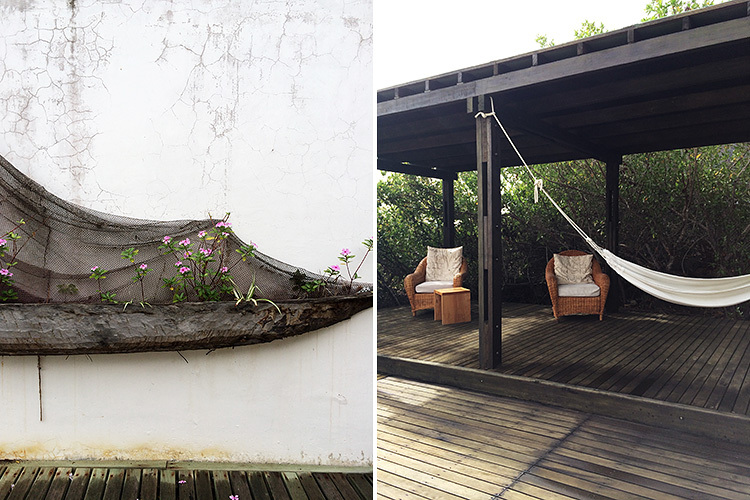 And below, some snaps from in and around the hotel. 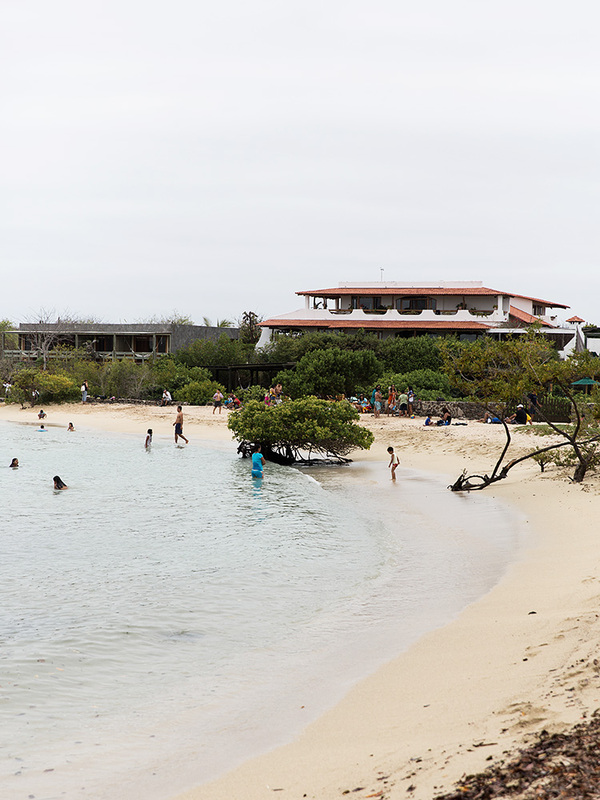 It was a treat to watch the dramatic changes in the little beach in front of the hotel during low and high tide. If you ever find yourself staying here, I highly recommend dining at the hotel restaurant. Hope you enjoyed this little taste of what it was like to get around the Islands. So so so beautiful. I need to go there. so gorgeous - what an amazing place! Thank you! I actually barely touched these in post. I bumped up contrast and probably desaturated a bit. I used my 5D mark 3 and 50mm Zeiss lens for it. Beautiful! 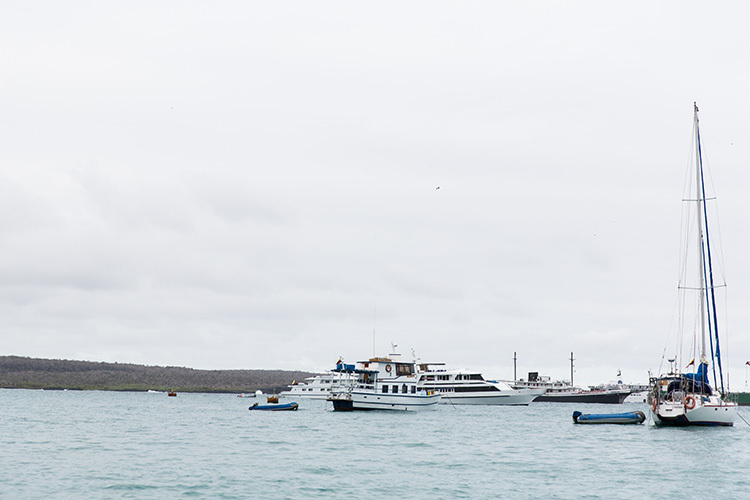 Galapagos call... the water's colour is ethereal!